1. Pre-heat oven to 150C. 2. Rub butter into sifted dry ingredients. 3. Turn onto a lightly floured surface and knead lightly until smooth. 4. Roll to approx. 5mm thick and cut into circles with a cookie cutter. 5. Place onto a prepared baking tray. 6. Bake in a slow oven for 35-40 minutes. 7. Allow to cool on baking tray. 8. Combine icing sugar with water and a few drops of food colouring. Spread icing onto cookies and sprinkle with edible pearls. 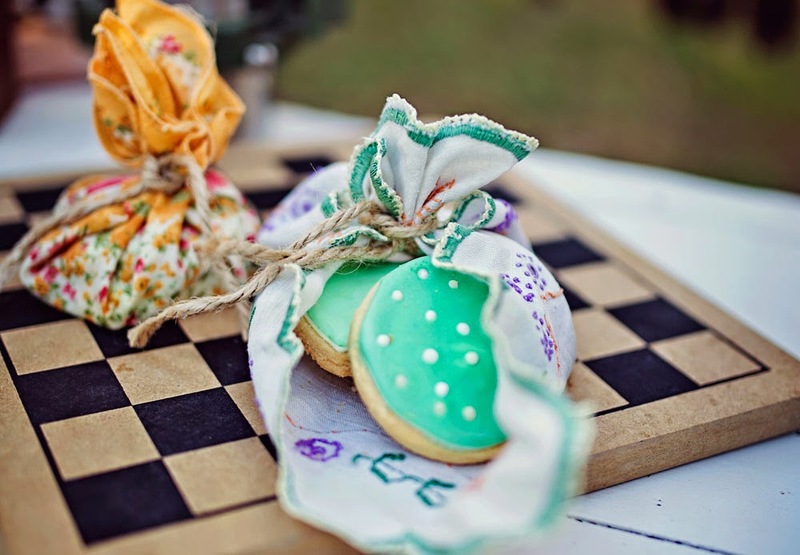 Package cookies in pretty vintage doilies and tie with string! This recipe and image first featured in issue 15 of tickle the imagination magazine.